Home Business This Swiss Alp Watch Has The Power To Change Your Life! 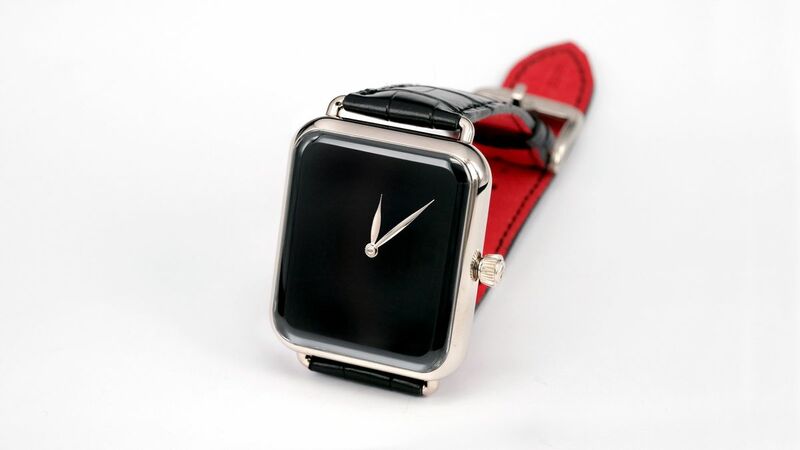 Introducing the H. Moser Swiss Alp Watch Zzzz. This is my personal favorite incarnation of the Swiss Alp Watch yet. 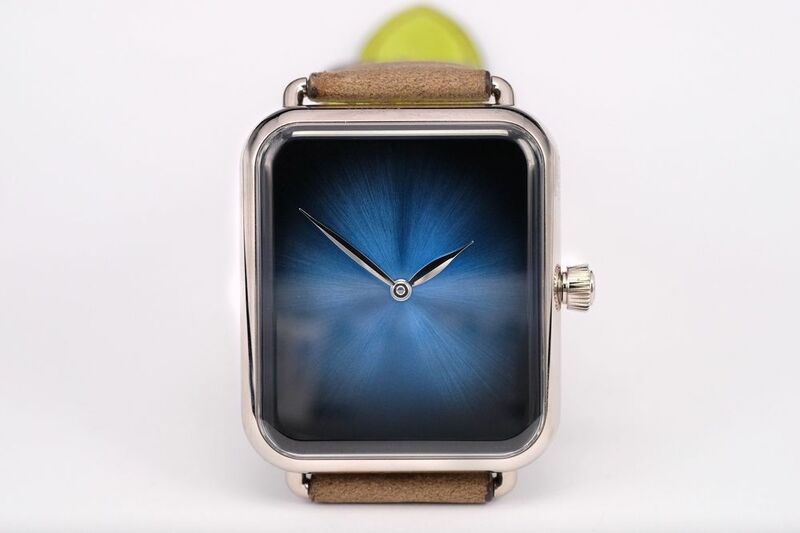 I’m a big fan of H. Moser and really enjoy the brand’s mix of minimalist styling and serious watchmaking, but I’ve never really loved this play on a certain Cupertino-born creation. But this one I’m into. The new Swiss Alp Watch Zzzz (forgive the name) has an all-black dial that actually makes it look shockingly similar to its smartwatch inspiration. The Zzzz has a white gold case in that familiar soft-rectangle shape and with those familiar wire lugs that give the Swiss Alp Watch its character. 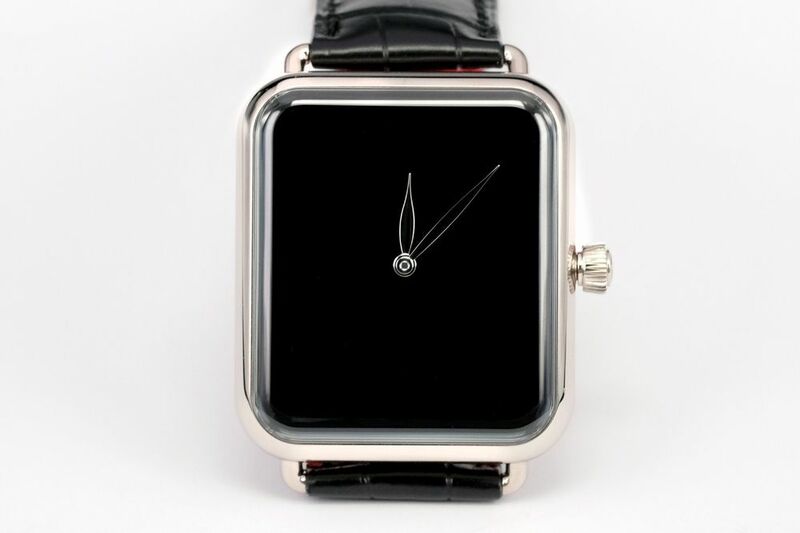 But, below the curved crystal sits a deep glossy black dial with no signatures at all and just a simple pair of white gold leaf hands floating over the top. You could, from even a comparatively close distance, mistake this for an Apple Watch if you weren’t paying close attention. To me, it’s the most successful play on the idea of the Swiss Alp Watch yet, being both a little subversive and a little playful, all while still being a quality mechanical watch. If the all-black look isn’t your thing, there’s another new Swiss Alp Watch to check out. This one is called the Brrrr (again, you don’t have to love the names) and has a Funky Blue fumé dial set in a white gold case. If you’ve never seen a Moser fumé dial in person, figure out where the closest retailer is, drop what you’re doing, and go right now. They’re some of the best dials being made today, and one this extensive and open is something I could gawk at for quite a long time. The Brrrr is a more colorful take on the “concept” Swiss Alp Watch. Both of these new Swiss Alp Watches are priced at $26,900 and each is limited to 20 pieces (each engraved “1 of 20”). Previous articleHow Entrepreneurs Can Benefit From Entering The Market Of “Smart” Homes. It won’t come as a surprise for those who watch his displays in La Liga, but Barcelona star Lionel Messi has been revealed as Europe’s top dribbler by stats looking at the continent’s top leagues. Lionel Messi is Europe’s top dribbler with Chelsea star Eden Hazard not far behind, but Cristiano Ronaldo doesn’t make top 20! 12 Simple Habits That Can Help You Sleep Better. Facebook Begins Worldwide Launch Of Its AI Suicide Prevention Tools.